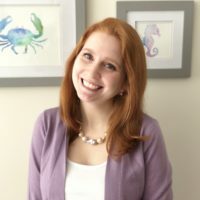 When I named my blog, A Sprinkle of Life, I knew that eventually I had to incorporate sprinkles somewhere. 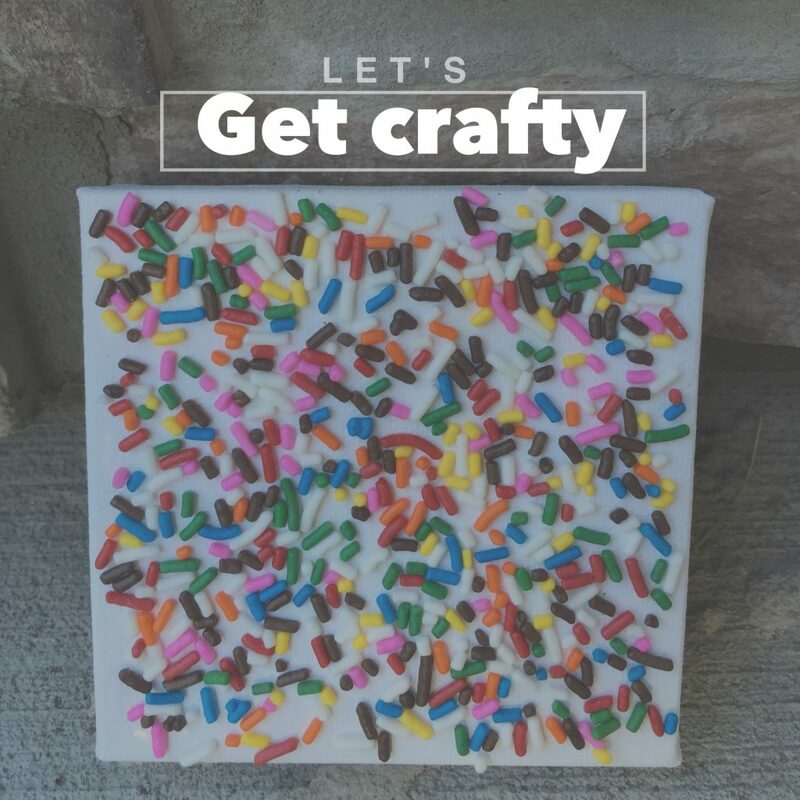 Today I created an easy craft using, you guessed it, sprinkles! First take your plastic bowl and squirt some glue into it (you don’t need a ton, so around 3 squirts should be fine). Add a splash, and I mean just a splash, of water into your bowl. Take your sponge brush and stir the glue and water together. Glue + water will give you a watery and easily smoothable liquid which is great for brushing large surfaces (canvas, wood, cardboard, etc) without the extra stickiness that comes from using just glue. Lightly coat the canvas. Try doing just one pass or line on your canvas as you see above to see if your glue to water ratio is correct and will hold down sprinkles. Now take your small cup (or you could just use your fingers) and pour in a small amount of sprinkles. 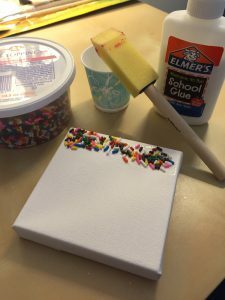 Lightly shake the cup of sprinkles over the canvas, keeping the sprinkles from piling on top of each other, creating a thin layer of sprinkles. 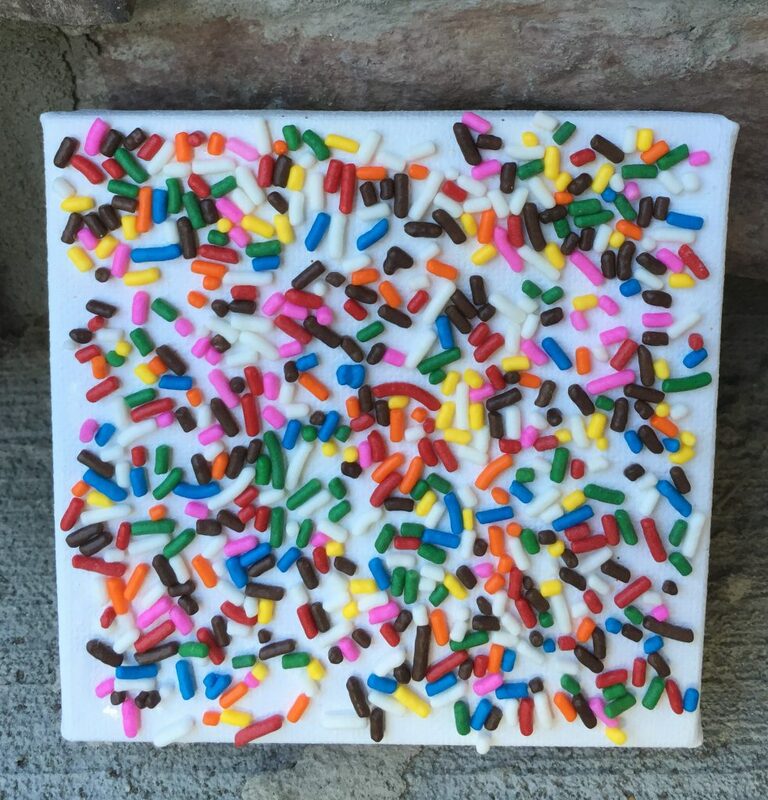 Pat down very gently with one finger to ensure the sprinkles stick and then let sit to dry – that’s it!